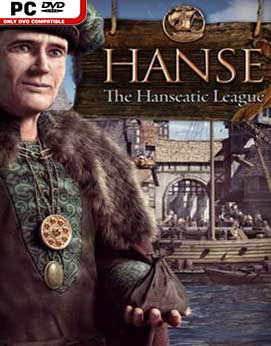 In "Hanse – The Hanseatic League" you play an aspiring merchant in 15th century Europe. 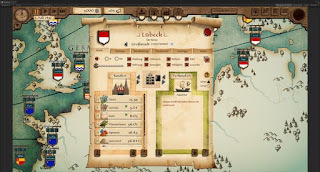 Your goal is to hold together and expand the trading guild of the Hanseatic League – a once powerful city union that is now fighting for its position among five other ambitious guilds. 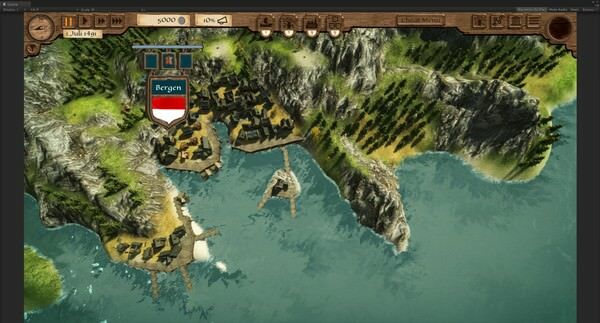 You travel to over 20 cities all across Europe in the name of the illustrious Hanse, trade goods, expand your own fleet of ships and establish diplomatic relations. 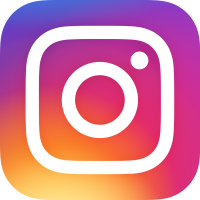 You will even get the opportunity to explore North America and lead the early European settlements to greatness through business and diplomacy.